The North Korean leader says he expects progress at next summit with Trump and agrees to denuclearisation of Korean peninsula. 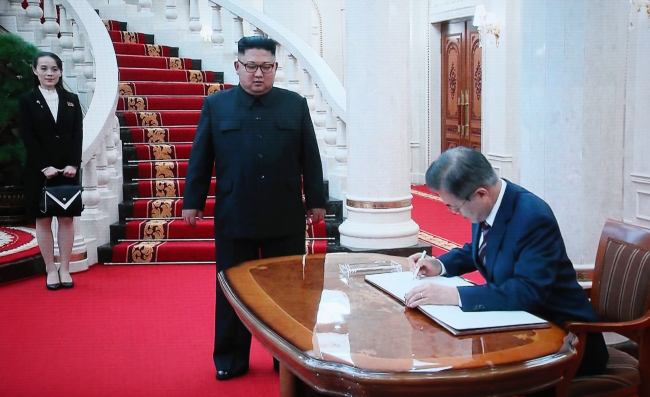 Kim credited Moon for improving inter-Korea and Washington-Pyongyang relations. “President Moon has ignited the spark of the historic talks between Joseon (North Korea) and the US. It is no exaggeration to say that the Joseon-US meeting is all thanks to President Moon. We are expecting a stabilization of the region and more progress (in the summit),” said Kim. 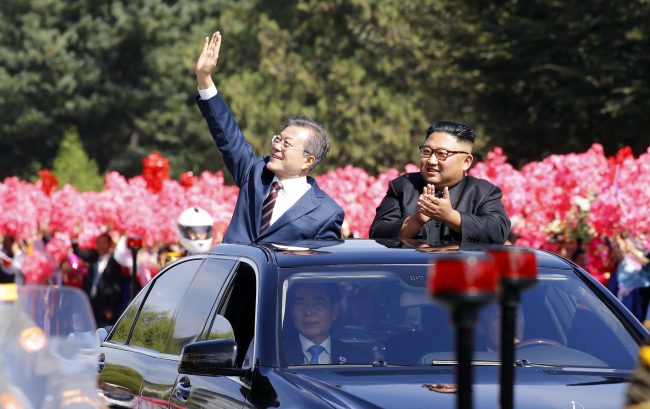 Moon thanked Kim, his wife Ri Sol-ju and the citizens of Pyongyang for the warm welcome. “Spring in Panmunjom has led to the autumn in Pyongyang. We met three times in the past five months. And looking back, there was the PyeongChang Winter Games; before that, Chairman Kim’s New Year speech and his bold decision. The entire process was possible through Kim’s resolve, and I’d like to express my gratitude for that resolve to begin a new era,” he said. Following the summit, the South Korean first couple attended the Samjiyeon Orchestra’s performance at the Pyongyang Grand Theater, after which they and the entire entourage attended a reception dinner at Mokran House. The first couple are staying at Paekhwawon State Guest House, which is typically reserved for only the highest VIPs.